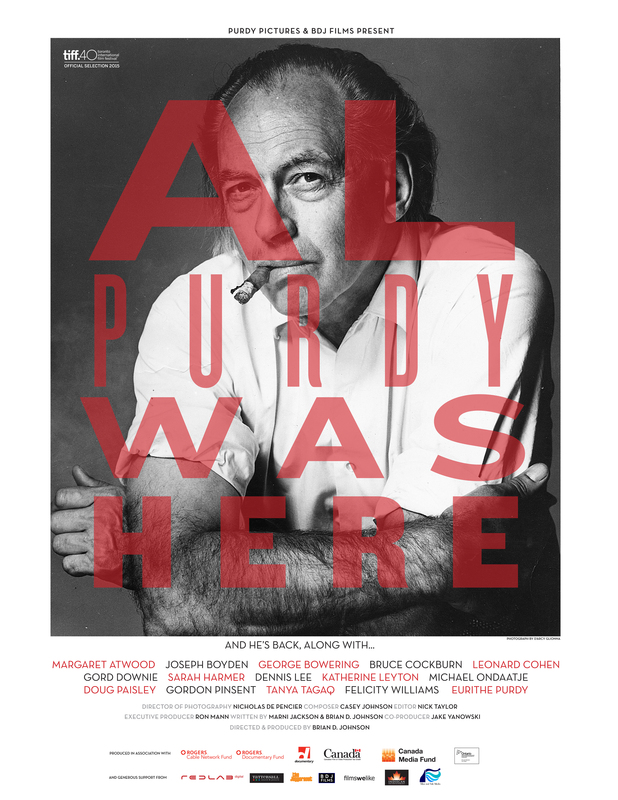 Produced and directed by Brian D. Johnson, Al Purdy Was Here is a documentary feature about a legendary Canadian poet, with original performances from artists including Margaret Atwood, Leonard Cohen, Michael Ondaatje, Bruce Cockburn, Sarah Harmer, Gord Downie, Gordon Pinsent, Doug Paisley, Felicity Williams and Tanya Tagaq. After premiering at the Toronto International Film Festival in 2015, the film screened in over 70 towns and cities, aired on CBC’s Documentary Channel, and toured international festivals. It has been translated into French, Spanish and Portugese-subtitled versions. It’s distributed in Canada by Films We Like, and internationally by Indiecan Entertainment and Tiller and Tide Media. Al Purdy Was Here it’s now available to stream or download on iTunes Canada.